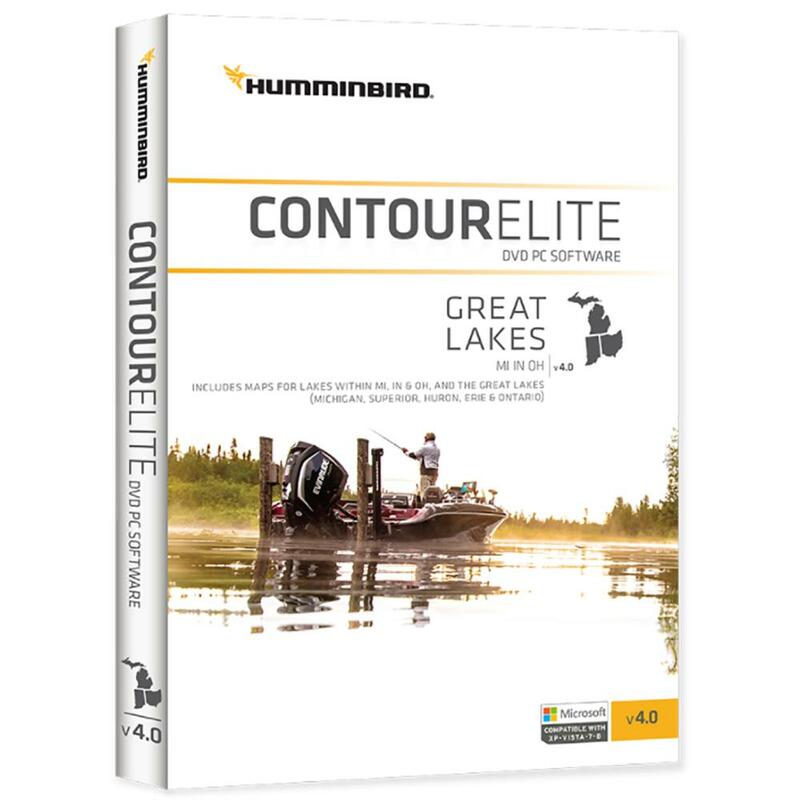 The Contour Elite Great Lakes Edition, Version 4 fishing computer software is designed to put you on fish. The Great Lakes Edition includes coverage in Michigan, Indiana, Ohio, Kentucky, Tennessee. State-of-the-art mapping technology paired with the most accurate lake data available means you can stop wandering around the lake. Imagine finding a hot spot and in seconds your computer identifies all other areas of the lake with similar characteristics. Just enter a species, time of year, and time of day and your computer searches the entire lake and gives you exact fishing coordinates. Navigate to these areas using your GPS or even a laptop computer right on the water. Compatible with Windows XP, Vista, Windows 7, Windows 8, Windows 10. 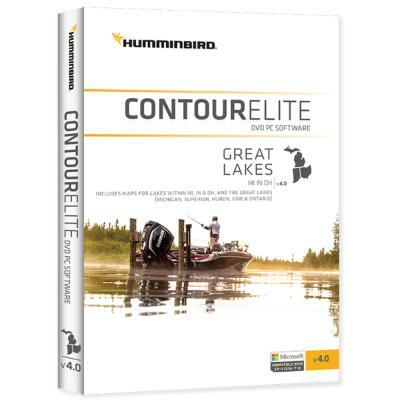 NOTE: Contour Elite is a COMPUTER PRODUCT only, CD's are not compatible with GPS units. Owners will only be able to view the maps using a compatible computer. Only our DIGITAL SD MAP CARDS are compatible with Humminbird® fishfinders.